Man! 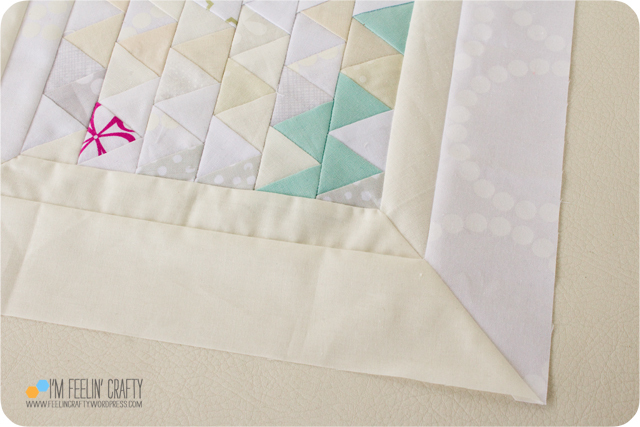 I’ve been playing catch up on this quilt along, the Modern Sampler Quilt Along with Salty Oat! You know I’m more of a bright color kinda quilter, so this one has been a challenge. But I like the low contrast with a pop of color! 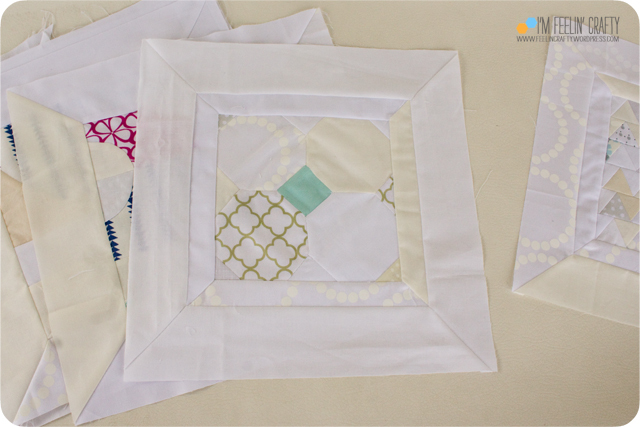 But this is a very challenging pattern and I got really frustrated doing these blocks! I think they came out quite nice despite the lack of instructions! This is Block G. I didn’t do any measuring around the curves. And I like how they turned out. Not perfect, but I think they are pretty close to perfect. And Block H. This turned out pretty nice. 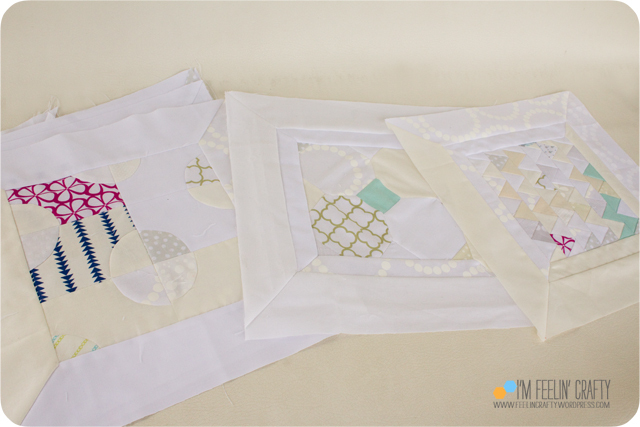 A LOT of practice with Y seams for one stinkin’ 12″ block! Has anyone else made this one? I’m curious how you made it. 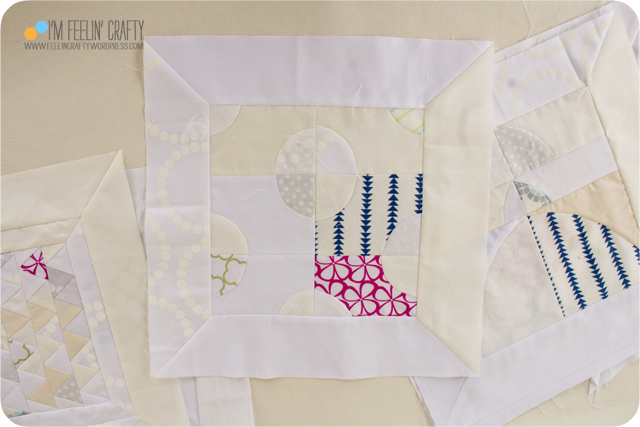 I considered doing it as an english paper pieced block, like I sew hexagons by hand. But then decided that would take way longer than I wanted to spend on this one…. And lastly, Block I. I’m actually in love with this one! It’s pretty near perfect! (If I do say so myself…) I took my friend Debbie’s advice and did the strips as paper pieced triangles. It worked! Nice and quick! And look at those Y seam corners! Oh, yes! Please ignore the horrible picture, but this is the quilt so far! 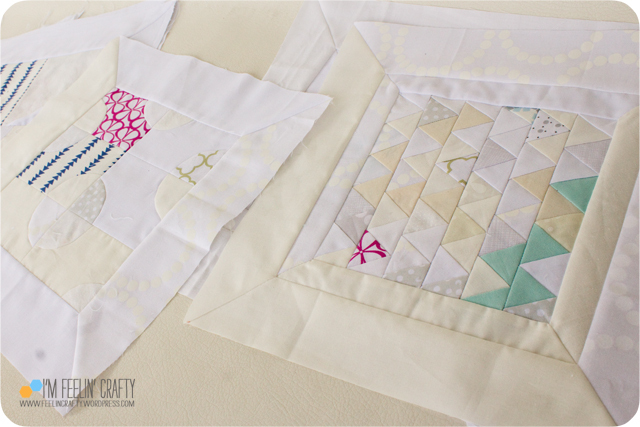 I do like the quilt, but making it has had some frustrated moments! Three more blocks down. 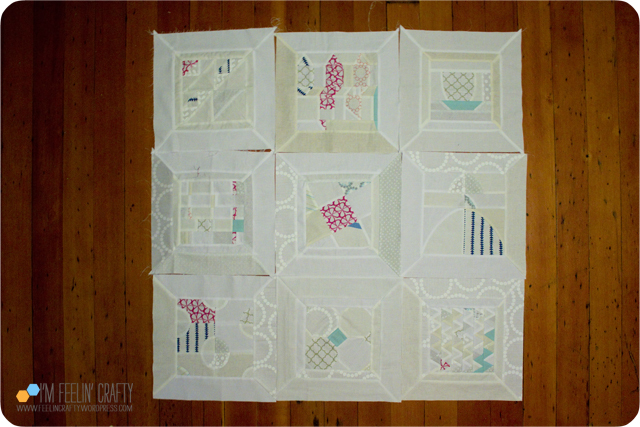 Nine blocks done. Three to go! This is beautiful. So subtle and effective. And those y seamed mitred corners look difficult but very effective. They are a pain, actually. Once you get the hang of it, they work pretty easily. And they do look good! Thanks! 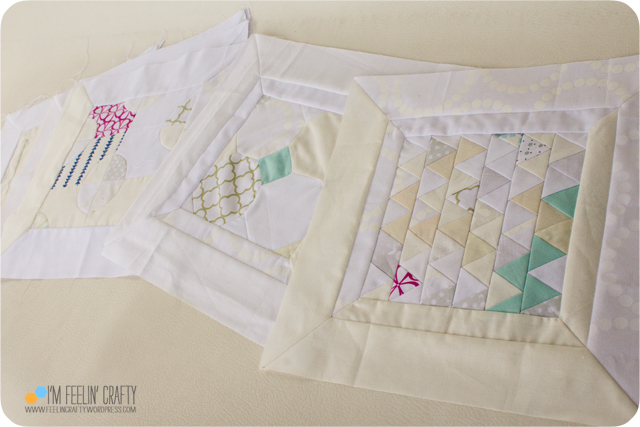 I adore what you’re doing with these blocks!! Having some regrets myself but OH WELL. The challenge for me would be the low-volume prints…..no pop, except for that pink. I think this is looking great.